Thin Lizzy’s “The Boys Are Back in Town” gets montage treatment in American Dad–complete with Phil Lynott! I was just partaking in my Sunday-night ritual of watching as many Simpsons, Family Guy, and American Dad episodes as possible when I came across something that really made my day. 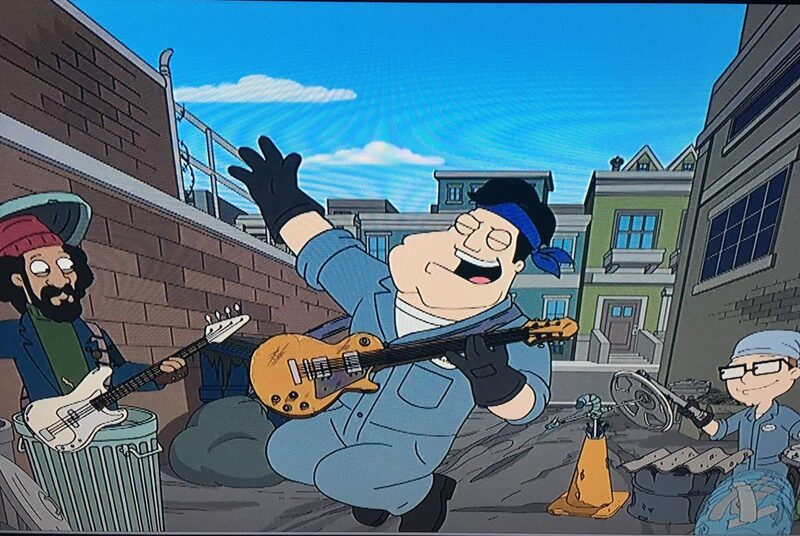 In an American Dad rerun there’s a scene where Stan and Steve are reliving Stan’s old garbageman job and they suddenly break into “The Boys Are Back in Town”, Thin Lizzy’s biggest hit (although far from its best song: that’d be “Cowboy Song“). 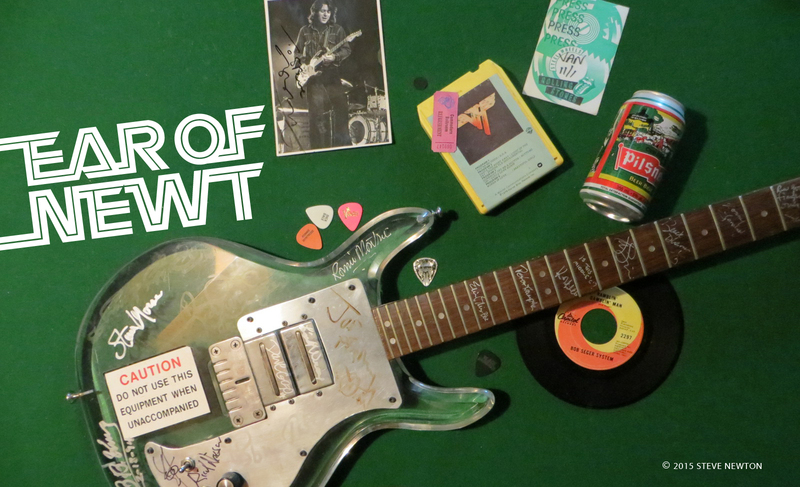 The montage includes Stan riffing out in a back alley on an orangey-brown Les Paul–the same brand of guitar used by Thin Lizzy’s legendary pickers. And at one point a guy who’s obviously supposed to be Phil Lynott rises out of a garbage can to lay down the bottom end on a white Fender bass.